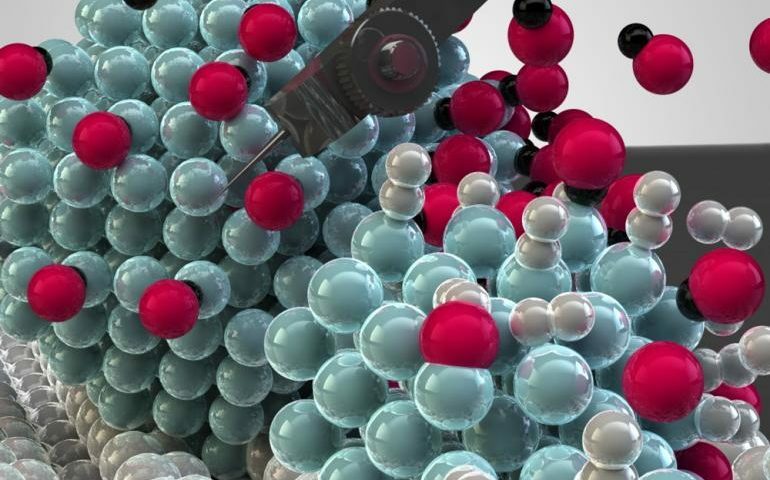 Researchers of our full partners Utrecht University and BASF made some big steps in designing catalysts for the conversion of CO2 into a gas fuel. If you can apply this ‘power-to-gas’ principle with the use of solar energy, you can solve two problems at once: reduce CO2 emissions and create more flexible applications of sustainable energy. This week, UU and BASF published an article in Nature Catalysis together. The researchers have studied the conversion process in detail and have determined the perfect size for the catalytic nickel nanoparticles. They found that nickel particles exhibit optimal catalytic activity at a size of 2.5 nanometres, about 40,000 times smaller than a human hair. They also found that a specific architecture of these tiny nickel particles facilitates the activation of CO2. Read more on the website of Utrecht University.